So, you’ve got a nice, new Honda vehicle but you want to personalize it to fit your style. Or maybe you have a used Honda and you want to help it last longer. Did you know that Honda genuine accessories come with a three-year/36,000-mile warranty? Honda genuine parts are designed and engineered specifically for your Honda, and you can take advantage of Honda parts specials at Paul Miller Honda of West Caldwell, New Jersey. At Paul Miller Honda, we’re dedicated to delivering you high-quality service at every step of the car ownership process. Whether you need spark plugs, oil filters, batteries, wheel caps, floor mats, or wiper blades, Paul Miller Honda has them, or we can order them for you. Want to get the latest update for your navigation system? We can help. 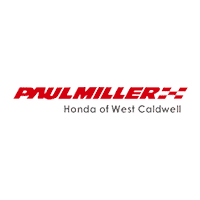 Whether you live in West Caldwell, Wayne or Livingston, you can count on the professional parts department at Paul Miller Honda to find the correct parts to fit your car, truck or SUV. Got a DIY project for your Honda? Order the parts online by filling out our convenient parts request form, or give us a call at (855) 637-9297. The parts department is open from 7:30am to 6:00pm for your convenience. You can also come and visit our dealership at 1170 Bloomfield Avenue in West Caldwell, New Jersey. Also serving Parsippany – Troy Hills and Montclair, New Jersey, Paul Miller Honda is committed to giving you the best possible car buying and ownership experience.